The newly-renovated and restored log clubhouse at Redstone dates to 1927. Our renowned chef provide classic pub food prepared with fine dining flair and offers interesting nightly specials. In the warmer months, there’s outdoor dining on the expansive deck with a canopy. The clubhouse is also perfect for events. 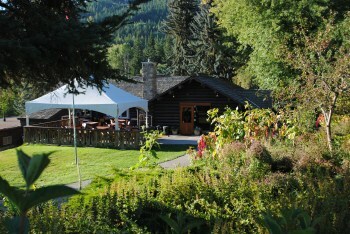 Redstone Resort is the ideal location for weddings, banquets, corporate meetings and outings. Click here to learn more about events at Redstone or call 1-877-362-4555.